News, Tips and Solution in digital camera, gadget and new technology in electronics world. 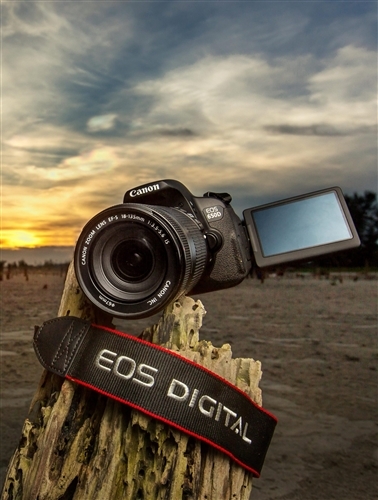 Do you have plan to buy a new Digital SLR camera? It is common knowledge that people will buy a Digital SLR camera will usually remember the name of the Nikon or Canon. Both of these brands have long competed in the world of photography. Canon and Nikon, the two brands always make prospective buyers confused before they decide to buy a new Digital SLR camera. 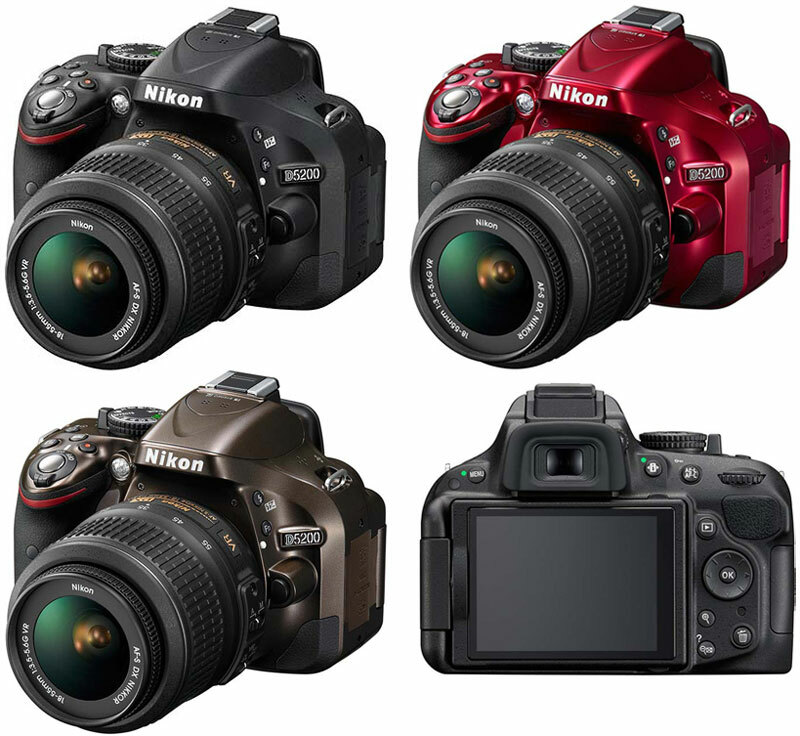 Are you also confused to choose Digital SLR camera? Why do not you try the Sony Alpha series cameras, Pentax K series, Olympus, Sigma or Panasonic GH-3? Well, let's look at the comparison between the Canon 650D and the Nikon D5200. Both cameras are inherited from previous generations of technological sophistication, even in the two cameras have been equipped with the features of a full frame camera. 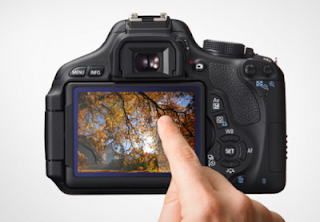 Canon EOS 650D using the touch screen. This kind of screen is familiar to users or compact mirrorless camera, but it is the first in the types of DSLR cameras. With a touch screen, we can change the setting to more quickly and easily, but it can be used to review the photo with the iPhone camera like rubbing the screen to the right or to the left. The screen size is also slightly larger than the Nikon D3200 camera screen (3.2 inches vs. 3 inches). Interface design and menu has been updated and the Nikon D5200 better than the previous series, but tough against the UI and completeness of the buttons on the camera beginner Canon, especially Canon 650D which has been equipped with a touch screen. Of course you have other considerations. Nikon D3200 autofocus rely on the same autofocus module with Nikon D7000 camera with 39 points, including 9 cross-type sensitive types. This module is slightly better than the Canon 650D which has only 9 points, all cross-type manifolds. To photograph moving subjects, the Nikon D5200 will be more reliable because the focal point is more and there is also 3D tracking legendary Nikon's proven reliability. When using the LCD screen to compose images (live view), Canon 650D camera users can touch the screen to use autofocus feature and take photos. In practice, the speed is a little slow, but speed is better than the Nikon D3200. As with other Nikon beginner camera, D5200 does not have a focus motor in the camera body. Therefore lens Nikon AF-D type can be installed but cannot autofocus. D5200 users must use AF-S lenses for autofocus can. AF-S lens is already quite a lot these days, but the average price is more expensive than the AF-D lenses. While the Canon 650D can use all Canon EOS lenses and everything can autofocus. So this is another plus for the Canon 650D. You can still choose third party lens that produced by Sigma, Tamron, Tokinon or Samyang from Korea. Almost all Digital SLR cameras have a video feature though rarely used, but it would have been nice if your camera has the ability to record video, so you can make a short film or video clip. For video recording, the Nikon D5200 has the ability to record Full HD-quality video with 60 frames per second. This exceeds that only Canon can achieve 30 frames per second. As a result, the video recordings of the Nikon D5200 will look smoother. But in its operation, especially autofocus while video, the Canon 650D is faster and smoother if the STM lenses (18-135mm 40mm STM or STM). Side of the picture quality, both cameras are probably almost no difference because they can produce very good photos, they both can run at ISO 100 to 800, the remainder of the ISO will arise the rather disturbing noise. About the resolution, Canon 18 using a MP CMOS sensor while Nikon uses 24 MP CMOS sensor. Although the resulting image Canon EOS 650D and Nikon D5200 is as good, for maximum results, requires you to use a lens with optical quality, of course the price is high, but you do not need to worry because you can buy lenses made by third parties like Sigma, Tamron, Samyang, Rokinon Tokinon or. Canon 650D has 18 MP CMOS sensor, the same as the Canon 550D to Canon EOS 7D. This sensor is already in circulation long enough (3 years). Fairly smooth picture quality up to ISO 800. At ISO 1600, image quality begins to decrease due to the onset of noise. But if you use the print size to small / standard 4R-5R is still smooth. Nikon D5200 get the new sensor is 24 MP CMOS sensor. Reportedly this sensor is not the same as the Nikon D3200 though possessed the same pixel size. Judging from the photos on the official Nikon website, I get the impression that the new sharp image results would be obtained with a higher quality lens than the 18-55mm lens bundled. 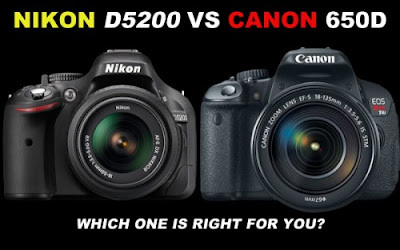 Indeed, the comparison between the Canon EOS 650D with the Nikon D5200 just a little and it has added value in each of the camera. Where Canon is superior to Nikon because Nikon is equipped with a touch screen, faster autofocus when using STM lens, navigation buttons fuller, more lens options also. But, do not be discouraged, because the Nikon was superior to, the 24-MP CMOS sensor, the focal point focal point 39 more, record more Full HD videos smoothly. In choosing your emotion was wise to the features offered, so you do not regret it later. Although there is a touch screen on the Canon 650D, but you will also be satisfied with the performance of the Nikon D5200. Both are reliable for the camera for the beginner category. 650D and D5200 arguably is the border between segments beginner and intermediate DSLR cameras. Each has a plus minus. Advantage lies in the Nikon D5200 24 MP sensor, video and Autofocus. Canon 650D advantage lies in the interface, touch screen and lens compatibility. Canon 650D has more lens options, in addition, the Canon 650D is also a great choice if you want the ease of use offered LCD touch screen and a smooth autofocus while video recording and live view (only with lens STM). You can buy third party lens made by Tamron, Sigma or other brand such as Tokinon or Samyang. I suggest you to compare well with alternative camera from Olympus, Pentax, Sony or Panasonic as I have mentioned above. The technology used in the camera is also high quality alternative, even Panasonic Lumix GH-3 is very great in high-definition video technology so you can use it to create video clips or movies. Once again, whatever camera you choose should be based on your needs and your budget. EOS 7D Kit2 APS-C Digital SLR, 18.7 Megapixel, LiveView, Full HD 1080, CF Card Slot, 3.0″ TFT LCD, include EF-S 15-85mm f/3.5-5.6 IS. Useful information shared..Am very happy to read this article. Thanks for giving us nice info. Fantastic walk-through. I appreciate this post.